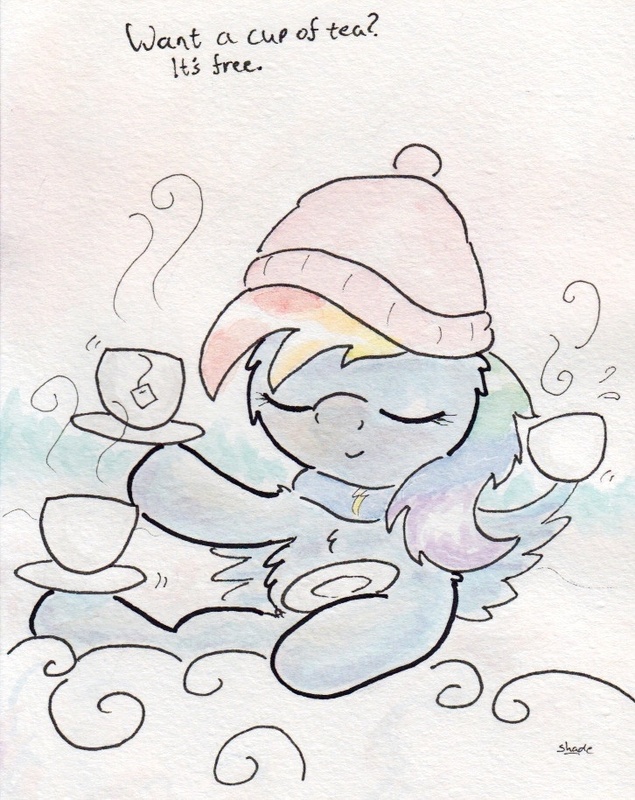 I dunno If I can handle tea with Rainbow Dash.....it might be far too...EXTREEEEEMEEEE!!! Not sure how you can make tea extreme, but I am sure Dash will find a way. *hides suitcase of T-shirts* ohhhh that kinda tea party heh hehe. sure I'm up for a cup got any peppermint or chai? lol she has good taste. peppermints my fave specially when sick. really clears the airways. It's my morning drink of choice. Calm and yet energizing. I'm a bit of a morning person in a lot of ways. Mm. We need to have more tea parties!